Hello, beautiful! I hope your week was fabulous. Do you have any fun plans for the weekend? I don't & I'm going to soak it all in. Sometimes you just need some rest. Anyway enough about me, today we are talking about how to perfect the fun bun. I have very thin & fine hair so I need to look to this foam donut for some help to make my fun bun look full. 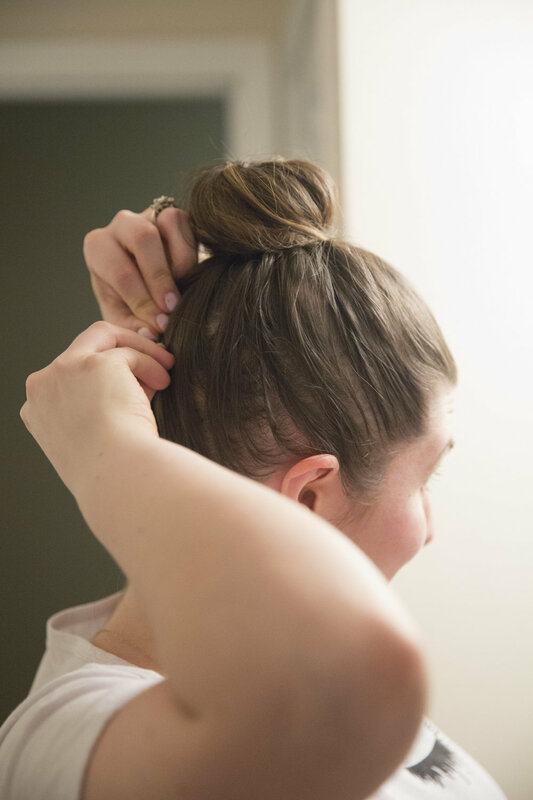 If you have thick hair this post will help you get the perfect ballet bun. I typically wear my hair down but when I am in a rush or have gone one too many days without washing my hair I'll do my hair like this. Things you will need: hair elastic, foam donut, bobby pins, hair brush, comb, & hair spray. 1. Brush out your hair & put it in a pony tail. 2. Put pony tail through foam donut. 3. Wrap your hair around the foam donut, creating the perfect bun. 5. If you have short hair like me pin up any loose hairs in the back. 6. Spray your comb with hair spray & then comb through your hair. This tames the fly aways. And there you have it! You'll be able to conquer your office or barre class! It's a super easy way to look put together when you don't have a lot of time. 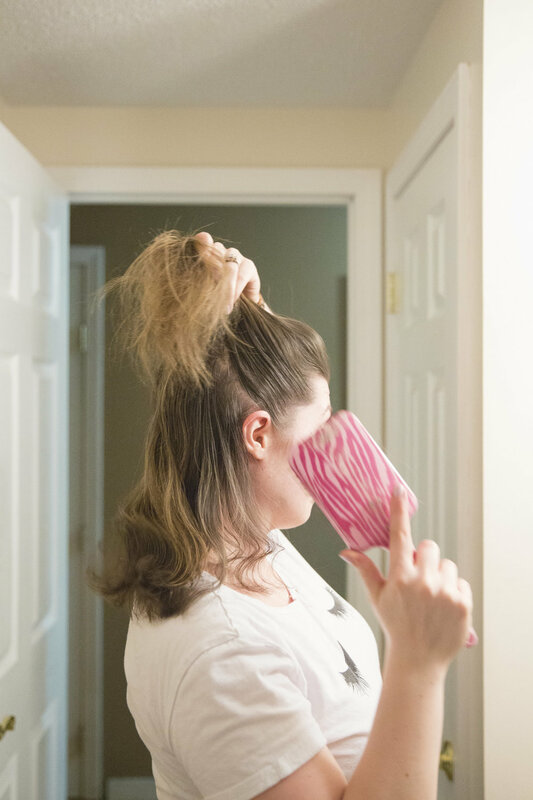 I hope this post has given you some good ideas to bring into your hair routine! Till next time, talk soon!